Leo Kennedy is the great grandson of Sergeant Michael Kennedy and was raised in the shadow of his great grandfather's murder. Leo is a member of the Blue Ribbon Foundation, which supports police families and honours the memory of police killed in the line of duty. He lives with his family in Melbourne, where he works as a lawyer. In his spare time he enjoys working on other history, conservation and permaculture projects. Mic Looby is a writer, editor and illustrator. He is the author of the novel Paradise Updated (Affirm Press), a co-creator of six children's books, and a scriptwriter for television including the ABC's award-winning natural history documentary The Great Australian Fly. A former columnist for The Big Issue magazine, Mic was also a senior digital wordsmith at The Age for many years, and a Lonely Planet guidebook writer at large. A father of two, Mic lives in Melbourne with his family and other wildlife. Great book, that finally does away with the Ned Kelly myth. He was a murdering thug who in todays day and age would be considered a serial killer. How he is a legend is beyond me. Great read. Informative read about an interesting person in Australia's history. I read this book with an open mind .Unlike the story tellers .If you research ben hall and see how he was assassinated and treated by our wonerfull police force .You will see a distinct similarity in the stories .But of course these story tellers twist it to cover up the way they treated people and still do to this day .So if you want to read a book of untrue tales read this. I have read many books about Ned Kelly over the years and been to Stringybark Creek. I understand the pain and suffering now that the families and descendants of the slain policeman have had to endure. It cleared up for me all those myths about Kelly that we've grown up with.....should be compulsory reading in secondary schools. Thank you Leo Kennedy. Very interesting. If all true it would certainly change my views on Ned. Accurate portrayal of history, well researched & presented. The "legend" of ned kelly grew from the brutal slaughter of 3 fine Victoria Police members, how history manipulated the dialogue where these 3 fine police members were maligned and essentially blamed for their own deaths. This book sets the record straight, kelly & gang were simply murderers, nothing noble or legendary in that and the whole community suffered. An attack on police is an attack on the community. Easy read, great historical pictures & research. Kennedy gives us a teagic view from the victims of crime. Brings a cold reality to killing & debunks some of the romanticized Kelly view. Comes with a balanced view that is harsh (understandible in the circumstances) but with little understanding/compassion of the prevailing conditions that led to such tragic circumstances. Enjoyed the read brought another perspective but like alk the Kelly books is not 100% correct. I too am a direct descendant by way of the Police enforcement side of the Kelly saga. One insight my family history has taught me is how corrupt the police constabulary was in 1880 and the anti Irish Catholic sentiment within the forces and government of the time. 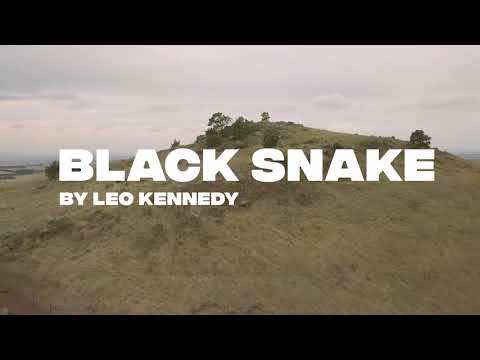 Shame that Leo Kennedy had to borrow his title from a much more balanced book by Carole Wilkinson published 2002 "BLACK SNAKE - the daring of Ned Kelly" which gives a balanced view of events and allows the reader to come to their own conclusions. Kennedy attempts to distort history by only giving a one sided account of events. Astute readers are much better served reading newspaper articles from the Trove archives. The Jerilderie Letter also gives insight into the Kelly Gang's motivation. Leo Kennedy, is just one descendent of a plethora of Kelly descendents on both sides of this sad saga. Victoria in 1880 was a very much different place to 2018. Just because our ancestors wore a uniform and badge does not make their place in history any more important than the victims of police harassment and brutality of the time. Many a family lossed loved ones during this brutal era. Many were forced into poverty and died of starvation due to property dispossession. Let's look to the future and learn from the mistakes of the past. Suggests that a particular narrative regarding Kelly is more accurate because it focusses upon his criminality while ignoring formative influences. It should be mandatory reading for school kids along with a book from the "other side" of Ned's story.